Description: Shagreen was originally a rawhide consisting of the rough, untanned skin of shark or stingray. Harder than ivory, it was used on armoured breastplates during the reign of Louis XIV. In more modern times, Sharkskin is one of Huntsman's favourite Worsted Scottish Wool & Silk suiting cloths. 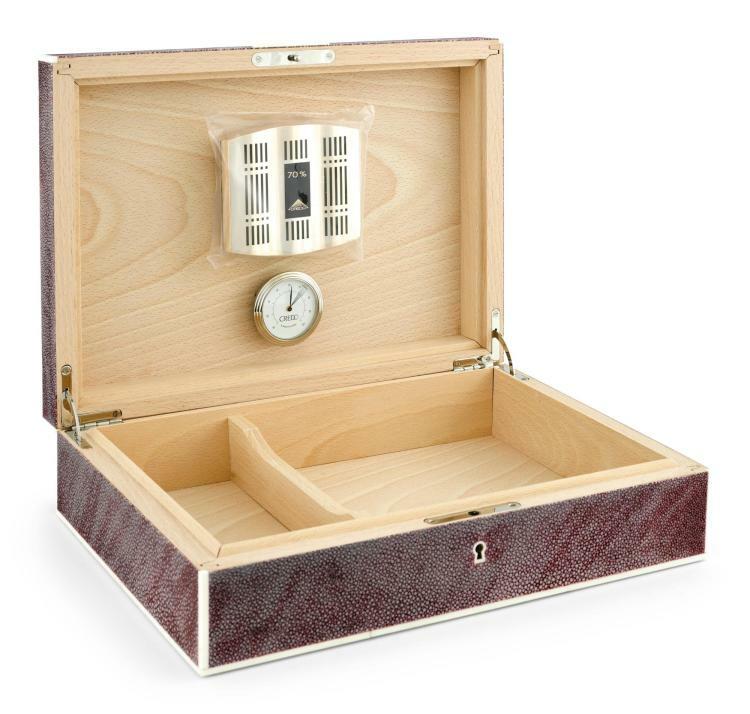 Shagreen is now used mostly for luxury accessories, and Huntsman is proud to have collaborated with Cuirs d'Ocean, the finest shagreen bespoke object maker, to produce a Huntsman Claret shagreen humidor for this auction. This exclusive piece features a H1849 sterling silver plaque embedded into the shagreen.